The ultimate beach destination in Greece! Most beaches in Kefalonia have been awarded the Blue Flag for their clean water and organized coasts. The most famous beach in Kefalonia is Myrtos, frequented voted as one of the most amazing beaches in the world. Antisamos is also a fabulous beach and became particularly famous when scenes of the Hollywood movie Captain Corelli’s Mandolin were filmed there. Other gorgeous coasts on the island are Lourdas, Skala, Petani, Platia Ammos, Makris Gialos and Platis Gialos. The best thing about Kefalonia is that beaches vary from sandy to pebbled, from totally secluded to organized, therefore it covers all preferences. Mykonos is famous for three things: nightlife, picturesque architecture and beaches. The most famous beaches of Mykonos are located on the southern side of the island. Super Paradise, Paradise, Elia, Lia, Kalo Livadi, Platis Gialos are only few of the golden, crystal beaches there. 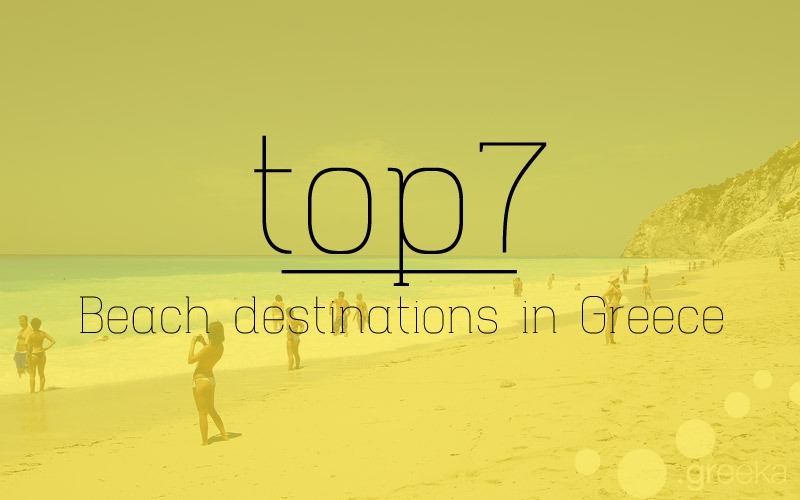 Organized with beach bars and sun beds, these coasts made Mykonos one of the best beach destinations in Greece. For more privacy, head to the northern side of the island, where some beaches are strictly for nudists. The endless blue of Lefkada will leave you speechless! In fact, the beaches on the western side of the island are world famous for the exotic color and the impressive landscape. Porto Katsiki, Egremni and Kathisma are the most famous beaches in Lefkada, while very nice is also the part-naturist beach of Mylos. The beaches of Agios Ioannis and Vassiliki are great places for windsurfing. Unlike the rest of Cyclades islands that have short coasts, the beaches of Naxos are vast. The island gives a unique opportunity to enjoy long coasts with soft golden sand. 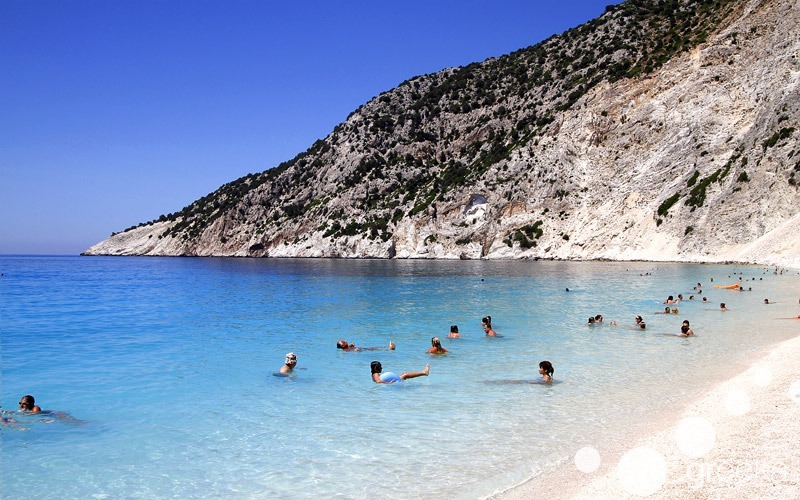 For instance, the beach of Plaka is a 5 km sandy coast with crystal waters. Agios Prokopios and Agia Anna are also nice beach places. If you are fond of wind sports, head to the beach of Mikri Vigla, the best kite surfing spot in Cyclades. In general, all the western beaches of Naxos are great for windsurfing and kite surfing. The island of Knights, Rhodes has amazing large beaches and small coves. 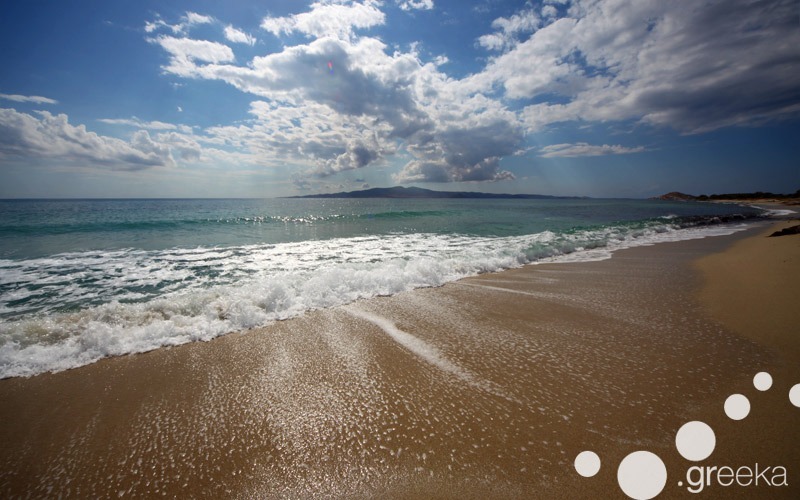 Faliraki, Ixia, Theologos and Ialyssos are organized places lined up with many accommodations. In Faliraki, there is even a large water park, one of the largest water parks in Europe. You can also find many secluded beaches in Rhodes, while not to miss is the picturesque Bay of Saint Paul close to Lindos. If you enjoy windsurfing and kite surfing, head to Theologos and Prassonissi. 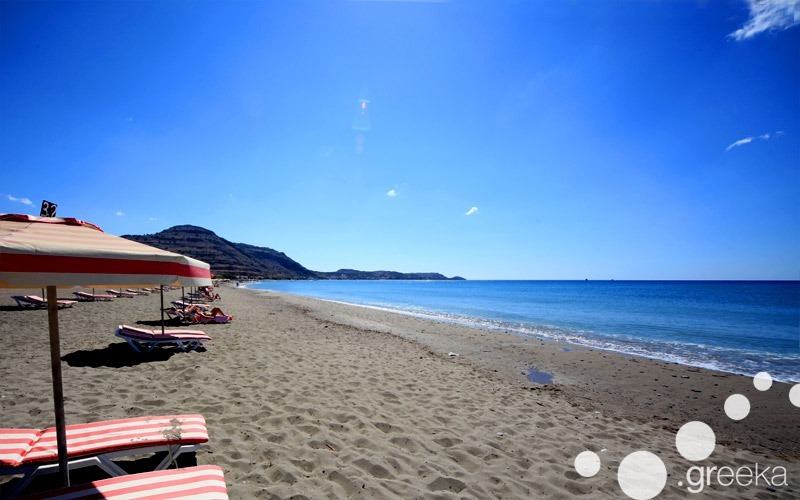 What is left to say about beaches in Crete? The island is large and it is surrounded by sea, therefore it consists a fabulous beach destination. A drive around will bring you to secluded coves, organized coasts, pebbled rocks for snorkeling and all kind of beaches you can imagine. The northern coasts of Crete are more organized, while the southern side gives innumerable opportunities to enjoy privacy. Some beaches in the southern side are naturist. Beaches on the eastern side of Crete, in the region of Palekastro, are nice for windsurfing. The most impressive coast of Crete is Balos, a Caribbean place with exotic beauty. 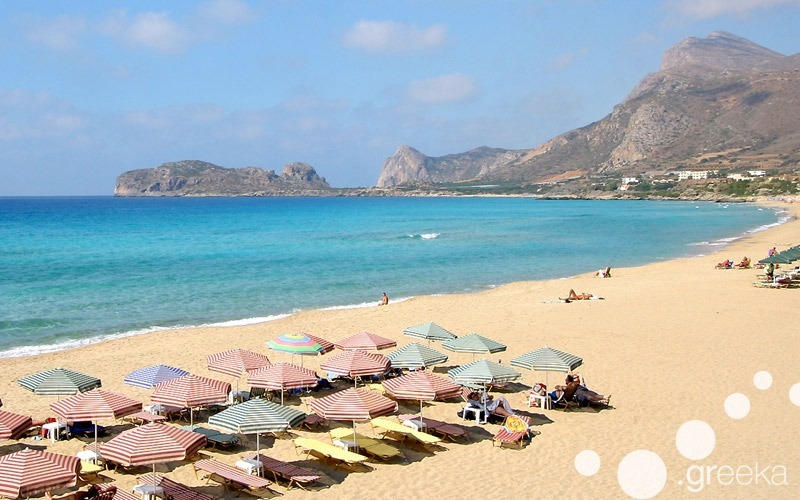 Worth to visit are also the beaches of Elafonissi, Vai, Preveli, Falassarna and Bali. A beautiful island of the Ionian Sea, Zakynthos has a variety of beaches with golden sand or pebbles, but always with emerald waters. Navagio (the Shipwreck) Beach is the most photographed bay of Zakynthos. Accessible only by boat, this beach took its name from when a ship carrying illegal cargo wrecked off the coast. This rusted ship can be seen today on the beach. Gerakas, Kalamaki, Porto Zoro and Spiantza are also nice beach places on the island. Due to the soft sand and the clean waters, the beaches of Zakynthos are breeding places for the endangered sea turtle caretta-caretta. ← Hotels in Santorini: Caldera view or beachside?